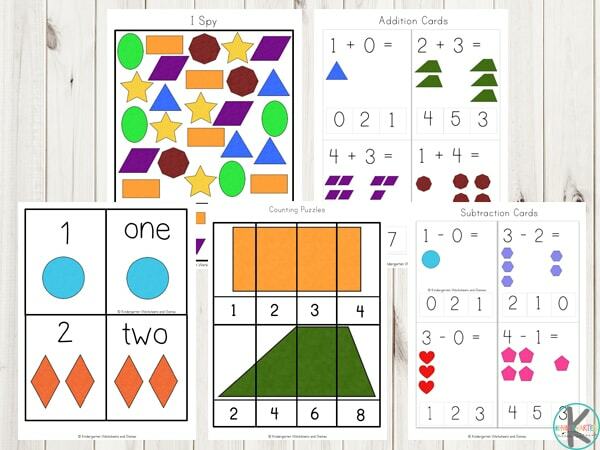 These 2d Shape printables are fun, free and a great way to teach or reinforce shapes with your toddler and preschooler. 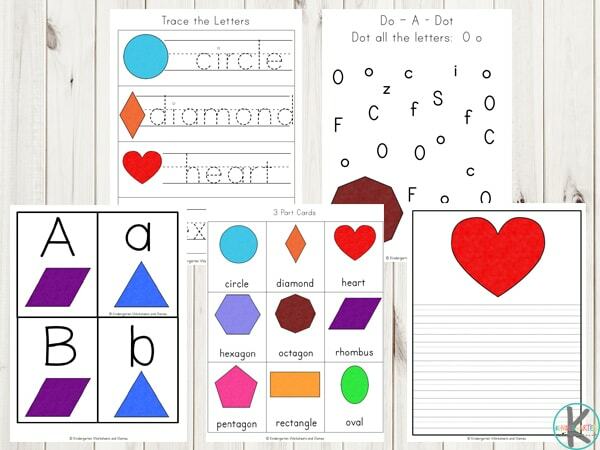 This 2d Shape Printable Pack is bursting with motivating ways to learn about circles, squares, ovals, rhombuses, triangles, rectangles, trapezoids, hexagons, pentagons, stars, hearts and more!! 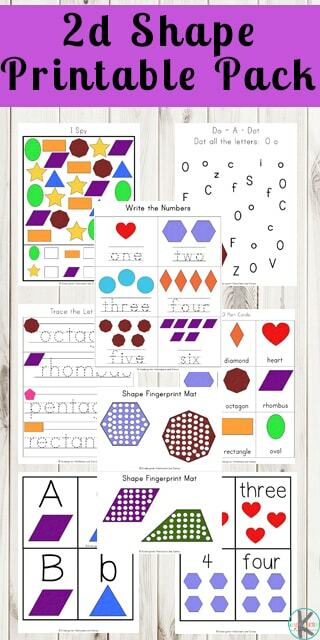 This shape printables pack contains over 70 pages of fun math and literacy activities focusing on different 2d shapes; square, circle, rectangle, triangle, heart, star, pentagon, trapezoid, diamond, hexagon, octagon, rhombus, and oval. 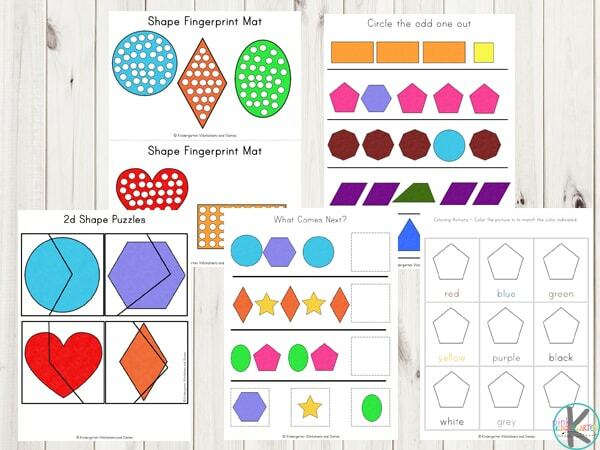 Simply print the colorful shape printables and laminate for durability. When they are laminated you can use them with a dry erase marker and hands on manipulatives to make them reusable. 3 Part Cards – match words to picture or use in games such as memory. These cards can also be used together with the alphabet cards. using the alphabet cards to spell out the words. Do-A-Dot Letter Activity – use a dot marker or bingo marker to mark all the correct letters.